The problem we solve: Healthcare costs in the US grew 4.3% in 2016, reaching $3.3 trillion, with over 80% spent on chronic disease and mental health conditions. Chronic diseases are among the most preventable of all health problems. The issue is the industry’s traditional focus on treating chronic disease instead of providing solutions for disease prevention and longevity. What's also problematic is that valuable health and lifestyle data, readily available in today’s digital age, is not accessible to doctors and healthcare practitioners to enable the delivery of personalized and value-based care. The data is disorganized and mismanaged because it has multiple owners who are unable to communicate and easily share the data. About our solution: We wish to address the challenge of data security and interoperability through blockchain technology, smart contracts and by enabling patients to be the owners and managers of their health data. We also plan to offer individuals convenient and personalized preventative healthcare solutions such as at-home health tests (nutrient, hormone and genetic profiles) and nutritional vitamin and supplement guidance through a decentralized mobile application, connected dispensing device and a built-in crypto incentive model to empower and motivate users to achieve their best health. Token Model: Users of our platform will be incentivized through our native token, the anonymized healthcare token or $AHT, to both generate data through Bowhead behavioural surveys and clinical at-home lab tests and lease their anonymous data to clinical researchers and other key stakeholders through smart contracts to help drive research forward in precision medicine and population health. We recently unveiled our connected device and alpha mobile application at the Consumer Electronics Show in Vegas early January. We are releasing our MVP mid February in Orlando at the Blockchain for Clinical Trials Forum and will welcome beta users onto our platform to begin using our decentralized mobile app to track daily health activities, input behavioural data via surveys and accrue points which will be transferred into tokens at a later date. Our first 2000 devices and nutritional supplements will be ready for shipment end of Q3 2018, at which point users will already be using our mobile application to order at-home health tests and share health data via smart contracts to health practitioners. We've received incredible feedback to date, hence the many opportunities that are coming our way (Canadian Singularity Summit, CES, blockchain for clinical trials forum by IEEE and our upcoming presentation at Eli Lilly Canada). Current partners include our diagnostics manufacturing partner in Southern California who we will be co-developing point of care tests with (the future version of our device will include both diagnostic and dispensing features - we will be developing point of care tests in parallel to the development of our current platform). They manufacture and sell over 30M fertility and pregnancy tests annually in the US alone and we are grateful for this partnership. Other key partnerships include two leading laboratories (US and Canada-based) who will act as our at-home health test providers and our device manufacturing partner Grupo Arcoiris who are leaders in plastics manufacturing and innovation for the pharmaceutical industry in Latin America. Bio: Dr. Rhea Mehta, Bowhead Health CEO, has a PhD in molecular toxicology and nutritional biochemistry and is a certified integrative health coach. Rhea has over 10 years of experience in health-related research and practice, and as a wellness community builder. 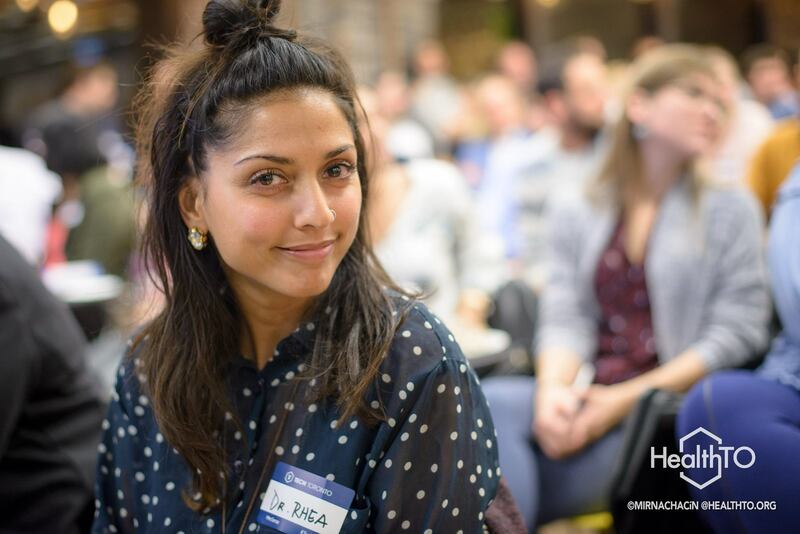 Rhea is also the Founder of Global Smoothie Day (Oct 3), a movement to inspire health ownership and advocacy, and the co-founder of Camp Reset, an adult summer camp and digital detox. Biography: Dr. Diaz-Mitoma has a Medical Degree from the University of Guadalajara and a PhD in Virology from the University of Alberta. He is currently the Chief Medical Officer of VBI Vaccines (Nasdaq: VBIV) and continues to practice as a GP and infectious disease specialist in Ontario, Canada. Over the past 30 years he has authored over 130 scientific papers and textbook chapters. Dr. Diaz-Mitoma believes one of the major opportunities in healthcare today is personalization and that an at-home device that both assesses one’s unique risk factors and offers targeted preventive solutions in real-time has the potential to challenge and upgrade the current approach to health and wellness. Imagine getting paid to share your valuable health data and being in full control of your health database, so that you can get treated faster and with more precision, as well as get access to personalized preventative health solutions that promote happiness and longevity? The future of healthcare is health at home. We want to help you easily learn about your body's underlying needs and give you real-time solutions so you can seamlessly take pro-active steps to optimize your body and feel your best. That's why we're launching a platform for personalized wellness that includes a mobile application that will allow you to securely input your health information, order at-home health tests and personalized nutritional supplements. The app will be gamified, so you can get points for tracking your daily health activities, like water intake, digestion, sleep and breathwork, and then use the points to pay for health-related products in the app marketplace. You'll also get a dispensing device that will be connected to your mobile phone via bluetooth or wifi and will dispense personalized doses of nutritional supplements daily, based on your individual needs. You will be notified when you need refills or when to re-order a test to help keep you accountable to your health. Finally, because health data is so valuable, we want you to own and control your own data and be paid for sharing it anonymously with researchers. You will be able to do this easily on the mobile app, which will also act as your highly secure health data wallet. We'd be honoured to have your support in helping us bring our vision of a convenient, personalized and secure wellness platform to reality. 1) We want to help your patients take pro-active measures to optimize health and prevent disease. We plan to give your patients access to behavioral surveys, daily health questionnaires, genetic and nutrient tests they can order directly from our mobile app to learn more about their health status and take agency over their health. They can bring their results to you so can better target your prescription and protocol to suit their needs. 2) Once blockchain technology has been widely adopted, patients will be able to securely send their health data to you. For example, they might have seen a practitioner outside of your system/network and they'll be able to share that data with you, while still maintaining ownership of their health database. Being owners of their aggregate data will enable faster and more precise care during critical times. 1) We want to help your patients take pro-active measures to optimize health and prevent disease. We plan to give your patients access to behavioral surveys, daily health questionnaires, genetic and nutrient tests they can order directly from our mobile app to take agency over their health and better understand their health status and needs. We aim to leverage our personalized wellness ecosystem to give you access to patients' aggregate health data (behavioral, genetic and metabolic health analytics) to support population health and precision medicine research. Through our proposed blockchain model, users will be incentivized to securely share anonymous data directly with you in exchange for digital currency. We foresee adding other devices onto our private blockchain for the purpose of securely managing health data. Through our blockchain model, users can also be incentivized to securely share health data directly with you in exchange for digital currency and/or adjusted premiums. The global dietary and vitamin market size was $122B in 2015, with vitamins representing 42% of the global market share of supplements. (https://www.statnews.com/2015/10/14/unregulated-supplements-send-thousands-to-hospital-each-year/). 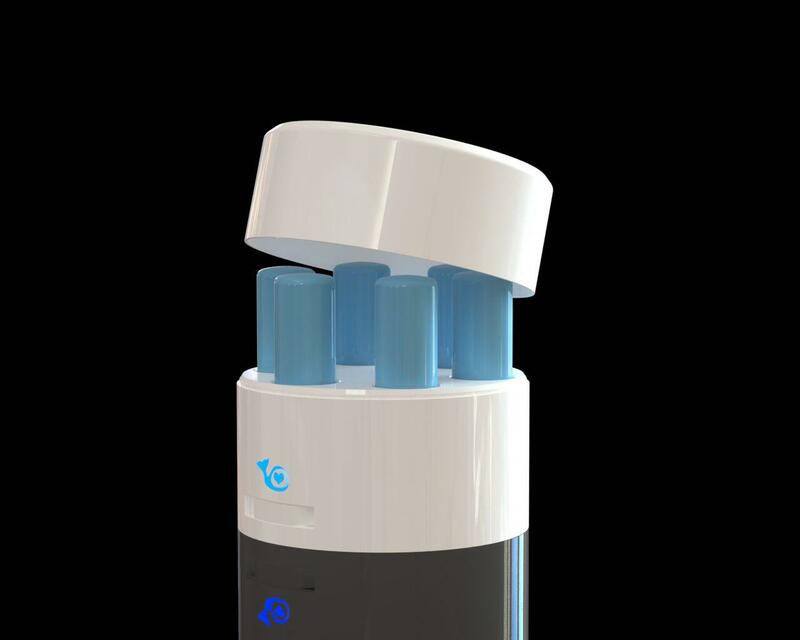 We understand that our dispensing device will be most seeked by the early adopters within the vitamin category. Using the Diffusion of Innovation Theory, typically the early adopters are 13.5% of the population resulting in $5.67B as an initial target market size. As people become accustomed to have digital, hardware devices in their kitchen and home we expect this figure to rise dramatically. With the rise of 3D printing, wearables and remote testing, information technology and rapid iteration of web applications, Bowhead is well positioned time-wise to enter the market. Based on our first mover advantage as a personalized testing and dispenser device within the dietary and vitamin market, we believe 5% of the global vitamin market share is a reasonable expectation. With a projected $100M in revenue in 3 years, this will allow us to expand our offerings to the developing world, build out a robust machine learning platform and broaden our development of point of care diagnostics. Our revenue model consists of the sale of our connected dispensing device and a monthly subscription of plant-based nutritional supplements. Once our private blockchain is fully operational, we will also be to serve as a partner to other companies wishing you use our health data management platform. There are currently no "all-in-one" devices on the market that both test for risk factors and dispense personalized amounts of vitamins and nutritional supplements. All competitors lack a turn key service. Bowhead intends to exploit this first mover advantage. There are a variety of peripheral competitors offering fragmented services, like testing-only products, dispensing-only products, subscription and online supplement services and telemedicine. Though we have not yet launched, we have already started pre-selling devices on our website. We have a mailing list of over 10K subscribers and a crypto community of over 2000 token funders. We plan to launch our product in phases, which will allow us to carefully ensure customer experience is optimal and refined with the roll out of each of our services in the value chain. Our primary objective is to grow a community built on trust and empowerment, and we will focus our efforts to ensure customer service and experience are prioritized every step of the way. We plan to leverage our social media channels and pre-existing communities and media networks to get into the scientific wellness market. Our in-house expertise in customer acquisition will also be leveraged to grow our database. We are inspired by the New Orleans Health Innovators, Business Alliance and diverse community of collaborators and would love to play a role in both contributing to this community and learning and growing from our experience within it. We were invited to apply for this challenge through Savannah Strachan (and cc Sally Lindsay) who shared that they were introduced to Bowhead via your partners John Lynna and Colin Hung by way of Vinve Kuratis. We filed a provisional patent application in April 2016. We recently filed for an international patent (PCT) and now have 18 months to file in individual countries. Our first product will include a connected dispensing device and mobile application that will enable users to order tests from third party labs and purchase personalized nutritional supplements. This product will be marketed as a wellness device. In parallel, however, we will be co-developing point of care diagnostic tests with our manufacturing partner in Southern California. The first test will be a cortisol hormone test and this test will require clinical efficacy studies along with our device, which will have a reader (optical engine) component built in. Once our test and device reader have gone through trials, we will begin the regulatory approval process. Thankfully, diagnostic development partner has positive experience working with the FDA. Users who already own a dispensing device will be able to purchase the reader separately and easily install it onto their device (modular system). Other funding needs besides our team include device manufacturing, nutritional supplements manufacturing and marketing. We're often asked why we are working on disrupting healthcare, when so many have failed before. We believe the time is now to use technological advancement to democratize healthcare and promote patient empowerment, engagement and ultimately better health outcomes. We look forward to establishing partnerships, alliances and collaborations with various stakeholders within this space to truly disrupt the health care industry.